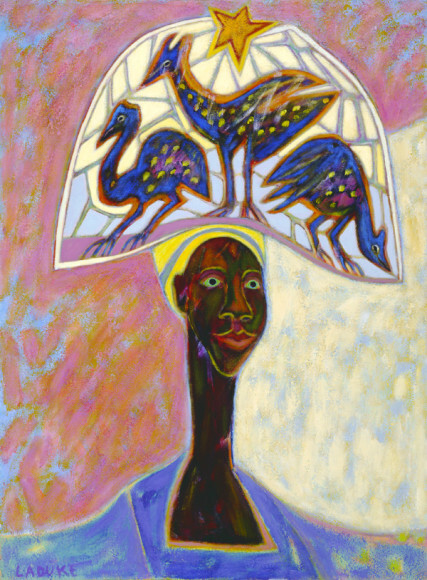 Multicultural Celebrations by renowned artist, Betty LaDuke will include small paintings (32” X 42”) depicting the lives of villagers from Asia, Africa and Latin America. “I hope that my visual impressions reach out beyond the confines of national boundaries to reveal that in spite of our cultural differences, human survival is dependent on our ability to connect with one another through understanding and compassion. Bonding with my family and friends on a multicultural, global level nurtures me. she rarely shows in galleries. We are privileged to make this collection of *small paintings (42” x 32”) accessible to our community. 50% of proceeds will be donated to The Oregon Community Foundation in support of Rogue Valley visual arts.